While my gangster friend, Biggie, had other ideas about what “beef” meant to him in a serious context, today’s Mastication Monologues post is much more lighthearted. While I could be considered a culinary hitman who is hired for his discerning palate and ruthless ability to deal with difficult dining experiences, I was working pro-buona at this latest establishment, Buona Beef that is. While Philly has their cheesesteak and NYC has their monstrous pastrami sammiches, Chicago’s sandwich is one that was born out of poverty. When Italian immigrants used to work in the Union stockyards of Chicago, they would bring home the lower quality, tougher pieces of meat. So what would be the easiest way to stretch these meager resources for a meal? Easy. First, they wet roasted it in a beef broth seasoned with garlic, oregano, and other spices. Then, they’d slice the meat extra thin to feed the most amount of mouths with the least waste possible. These paper-thin pieces of meat were thrown back into the broth to soak up all of the flavor from the roasting period for maximum deliciousness. From there, the Italian immigrants put the beef on Italian bread loaves, and thus the Chicago Italian beef sandwich was born. While the times and customers have changed, the cooking process has stayed the same. Enter Buona Beef. This franchise started back in 1981 by the Buonavolanto family who brought Neopolitan family recipes to the mainland and brought them to the American public. 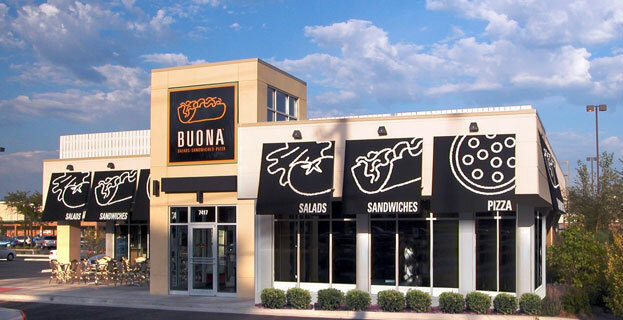 Buona Beefs can be found all throughout the Chicagoland area but nowhere else in America. I went with my parents to the location in Darien, IL, and it was a pleasant dining experience. The service was quick, and the prices are reasonable. The menu ranges from pizza, salads, pasta, and of course, da beef sandwiches! I got the regular 7″ sandwich ($5.50), but they also have piccolo (small) and maggiore (large) sizes. 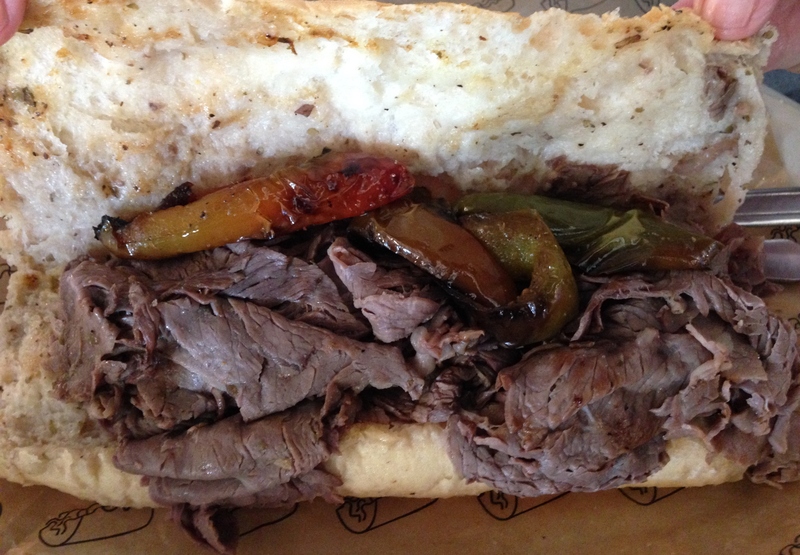 While most sandwich restaurants ask if you want everything on it, ordering an Italian beef sandwich could almost sound like a script Ron Jeremy could read. One can be asked if they want it juicy/dipped (dipped in the beef broth), dry (sans broth), hot (with hot giardiniera on top), or sweet (with sweet peppers on top). While my mom went for the more subdued sweet, dipped sandwich, I kicked it up a notch by getting a hot dip. This is definitely where I parked my car. 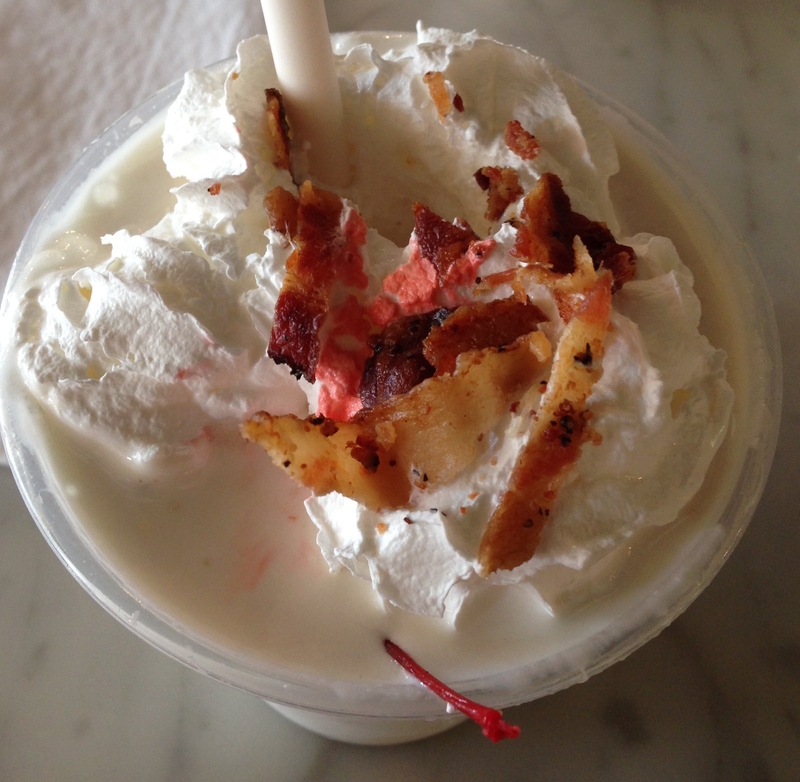 While Buona Beef offers various desserts like cannoli, brownies, gelato, and lemon knots, I knew I had to try their new maple bacon shake ($3.25) which apparently diners have been scared to try. Since I was the first to do so, the manager was overjoyed that I ordered it. With our orders in, we took our number, and waited for them to bring us our food. After a brief wait, our sandwiches came out along with the shakes. I hadn’t had one of these bad boys since coming back to America, and when I laid my eyes on it, I could remember why I missed this small, meat-laden piece of home. While I prefer the spicy over the mild, my mom’s sandwich still looked pretty good. I think they could have given her more of the roasted, sweet peppers though. As for my sandwich, it was a thing of absolute beauty. The bread was fresh yet glistening slightly with the juice of its beefy bathtub in the back. Plus, the vegetables, or giardiniera (jar-din-air, Chicago pronunciation), looked fantastic. Giardiniera means comes from the word in Italian for “garden” but actually means “pickled vegetables”. That’s why the version in Italy is called “sotto aceti” or “under vinegar”. However, there are slightly different takes on giardiniera depending on where you are. The West Coast version is closer to its Italian roots with just using vinegar, but here in Chicago we use olive oil. I’ve asked friends from across the US if they’ve heard of giardiniera, but it seems to be chiefly a Chicago thang. Typically, one can find a cornucopia of vegetables in the mild or spicy oil such as carrots, celery, olives, pimentos, cauliflower, and bell peppers. Everyone has their own favorite blend and brand like Greco’s for me. Even though they’re soaking in oil, the vegetables still maintain their crispy texture. compliments of the pickling process. After appreciating the beefy Botticelli in front of me, I finally took the first bite. Not only is the Italian beef sandwich unique in terms of ingredients and being a culinary representative of Chicago, but one must eat it in a certain way known as “the stance”. I’ll let the owner of Al’s beef, the mothership of Italian beef sandwiches in Chicago since 1938 in Little Italy, and Adam Richman explain it. Much like Mr. Richman, I was overwhelmed by the soft, juicy bread that encased the delicate pieces of garlic and oregano-laced beef. The giardiniera provided a much needed crunch and spice to offset the soggy sandwich. Naturally, my basket by the end of the meal looked like a sloppy slip-n’-slide, but it hit the spot. 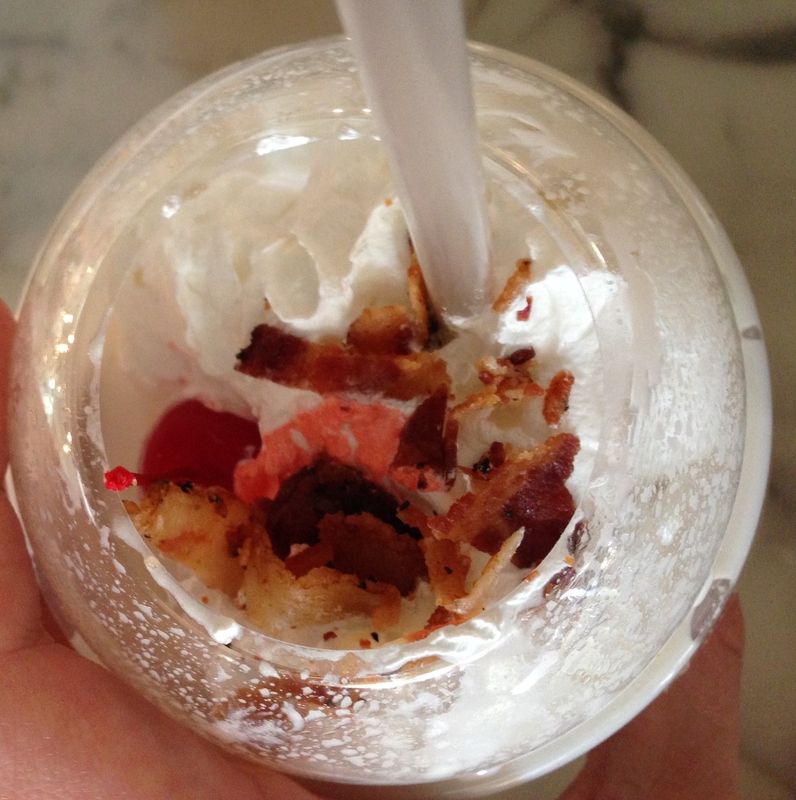 As for my shake, it was thick and topped with a few morsels of bacon. Upon sipping the ivory-hued beverage, I was immediately greeted with a wave of excruciatingly sweet maple flavor that dominated the shake for the most part until I reached the latter half. 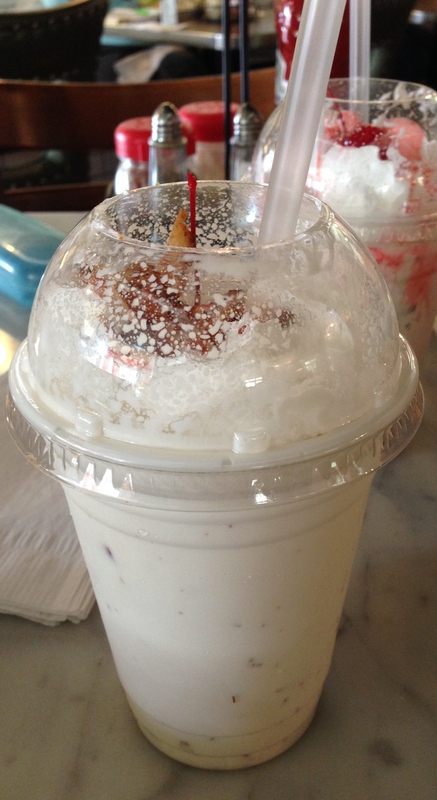 Once I finally dove deep enough, I could find and sample the crispy creatures hiding beneath the whipped cream. The smoky and salty flavor of the bacon combined well with the sweetness of the maple riffs, but it proved to be a bit overwhelming as I sampled the dregs. By the end, I feel like I drank a bottle of sugar syrup which didn’t settle well with me. I think if Buona Beef lightened up on the syrup and evenly distributed the bacon in a smaller portion size, they’d have a real hit on their hands. So if you want to try a unique piece of Chicago’s culinary history without having to make the trek downtown to Little Italy, try Buona Beef! 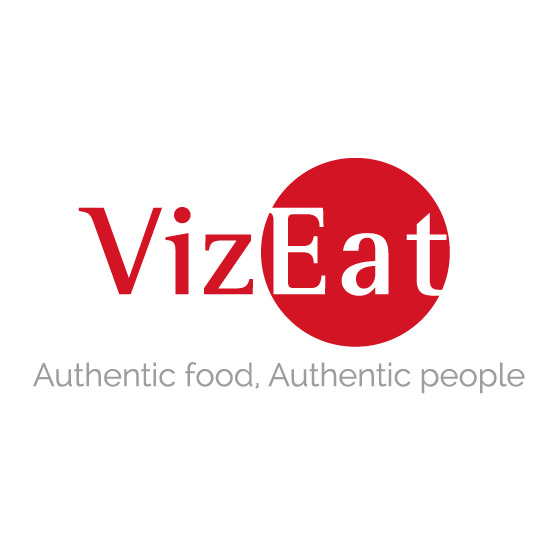 Posted in European Cuisine, Italian and tagged bacon, beef, Chicago, Chicagoland, drink, giardiniera, Italian, juicy, maple, shake, spicy, sweet. Bookmark the permalink.